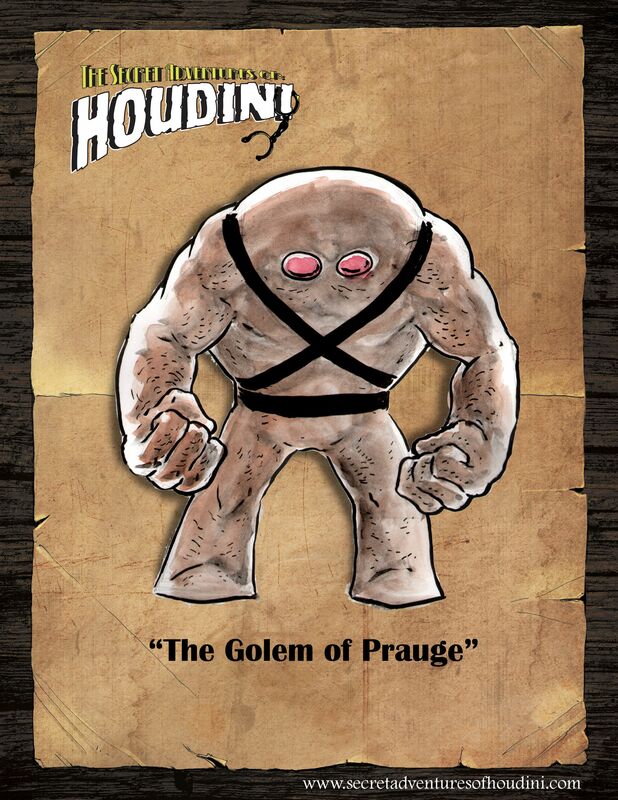 Secret Adventures of Houdini returns with a FREE preview of volume 2, just in time for Free Comic Book Day 2014! This special free issue can be downloaded at https://www.comixology.com/The-Secret-Adventures-of-Houdini-The-Golem-of-Prague/digital-comic/96874 today, May 3rd, 2014, for FREE COMIC BOOK DAY 2014! The Secret Adventures of Houdini – Book One was published by ALTERNA Comics and distributed nationwide by Diamond Comic Distributers. The Secret Adventures of Houdini – Book One is currently available online from Amazon and Barnes & Noble. Find out more about the exciting world of “The Secret Adventures of Houdini” at: http://secretadventuresofhoudini.com.